Using waste from whisky production and a strain of Clostridium bacteria, a Scottish energy firm is creating high-octane biofuel. 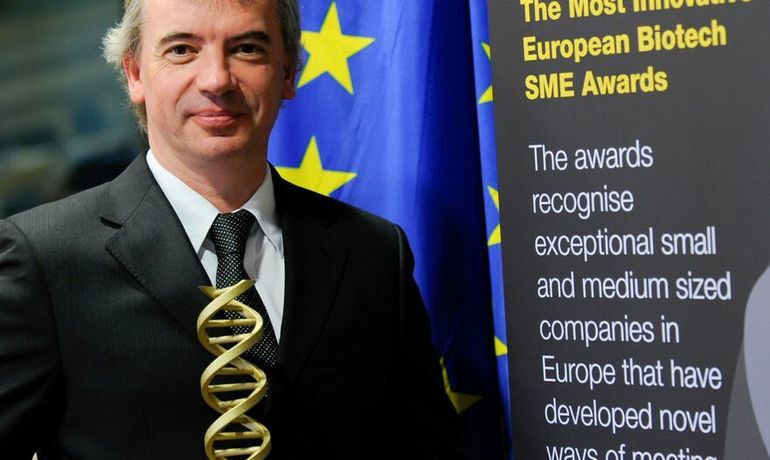 Celtic Renewables recently won the ‘Most Innovative European Biotech SME’ award for its leading-edge work. Launched in 2012 as an offshoot of Napier University’s Biofuel Research Centre, the company quickly formed partnerships with Tullibardine distillery and BioBase Europe Pilot Plant (BBEPP). The work of Professor Martin Tangney – founder of Celtic Renewables – and his team builds upon a process known as acetone–butanol–ethanol (ABE) fermentation first developed by biochemist (and, incidentally, Israel’s first President) Chaim Weizmann. Acetone is used in the manufacture of cordite; Weizmann’s breakthrough provided the British munitions industry with the acetone it needed to make the smokeless propellant during World War I.
Ethanol and butanol are both capable of powering internal combustion engines, but butanol is the more efficient of the two fuels, at up to 92% of the Btu output of gasoline compared to ethanol’s 70%. Chemically, butanol is more like gasoline. Being conveniently rich in proteins, starches and sugars, the whisky-making by-products known as draff and pot ale make ideal feedstock biomass for the bio-butanol production process. The anaerobic (without oxygen) fermentation used to create bio-butanol relies on the ability of the Clostridium acetobutylicum bacteria to metabolise sugars to produce long hydrocarbon-chain alcohols. OK. That’s the hype, some chemistry and a fair bit of digression. ‘Biofuel’ sounds satisfyingly ‘green’, but when you think about it, oil is also a biofuel. Most oil is simply deposits of long-dead biological microorganisms accidentally ‘sequestered’ beneath layers of lithified sediment. As far as we know, this process takes aeons, so there’s no obvious way to make more crude oil quickly. If we could make it quickly, oil would be a renewable energy source. Of course, burning oil in engines as gasoline or diesel also releases its naturally sequestered CO2 and generates airborne particulate pollutants. Not clever. Making biofuels tampers heavily with the natural order in a way that’s useful to humans. Tangney’s sealed vats of bacteria, draff and pot ale are a wonderful instant ‘broth’ equivalent of nature’s micro organism Marmite and primordial soup. In theory, bio-butanol made from whisky waste is renewable (as long as people keep drinking whisky) and ‘sustainable’ (as long as people keep drinking whisky). Actually, the same process works with other bio-waste, including waste from beer-making and from certain types of paper production. The fuel can be used in unmodified vehicles, it burns a little cleaner than gasoline and is safer to handle. As with all biofuels, however, we’re still burning stuff to make stuff go. And we’re still generating particulates and releasing CO2. That isn’t sustainable. Draff and pot ale may be classed as ‘waste’ products (although they have long been used as animal feed), but the barley (a land- and fertiliser-use intensive crop) had to be grown in the first place. Using whisky waste is certainly more sustainable than burning down forests (releasing sequestered carbon), digging up soil and roots (releasing sequestered carbon, nitrogen and phosphorus) and using up scarce water resources to grow biomass crops for biofuels. And there’s a lot of it available – some half a million metric tons of spent-grain draff and around 2 billion litres of pot ale annually. The world does love a good whisky story, doesn’t it? The corporate behemoths that have swallowed most of Scotland’s unique, independent distilleries now have an excellent environmental ‘greening’ script to go with their nostalgic, romanticised narrative. But I certainly don’t mean to be cynical about the work of Celtic Renewables and other innovative, science-led companies tinkering fabulously with consumer society’s discarded biochemistry set, doggedly proving that where there’s bio-gunge there’s bio-brass. My opinion as a futurist person? Bio-waste bio-butanol still falls somewhat short of ‘sustainable’ and still seems a bit, well… dirty. I say bring on the hydrogen fuel cells. Bring on the space-based solar panel arrays. Bring on the micro-suns, the gold cans, the tokamaks. ‘Toroidal plasma fusion reactor’ has a nice ring to it, don’t you think? Cheers. Imagine a new source of energy is discovered: no or minimal carbon emissions; little direct environmental impact; low capital and running costs; acceptable to the general public; able to be deployed anywhere in the world, for hearing, transport, industry etc. In summary: low cost energy, no direct downsides. What happens? My guess: economic boom, continued growth in use of renewable and nonrenewable resources (timber, concrete, steel etc). Without tackling unsustainability in a holistic way, we’d just overcome one problem energy/climate change, while rushing towards another one. I think of this imaginary energy source as a “Midas technology”. Okay so I was agreeing with your statement and then you had to bring in Hydrogen Fuel Cells. As a reminder over 90% of the currently available Hydrogen Fuel Cells are by-products of the oil refining industry, which makes it even less renewable, nevermind sustainable, than biofuels. The rest takes so much energy to split water to produce hydrogen it’s like buying those new £5 bills for £100. The future doesn’t have to be terribly complicated Thorium power plants or space solar arrays (really? ), the future of energy is a balance between micro-renewables and load balancing of the grid which involves a combination of solar and wind with other lesser known sources like wave, or heat pumps, and of course an improvement in energy storage. Check out coastal salt water hydro dams , theres a few papers on them. Basically wind energy is harnessed 24 7 , as well as tidal , through pumping sea water inland to dams , where in times of wind drop the dams then dispense through a system of what are essentially canal locks , with each part creating more power , removing the auld problem of energy storage , the biggest argument against wind and tidal power altogether. Scotland has a perfect landscape for such creation of dams , and in some cases are there already partially with old quarries. Another positive by product is that they can then be used for onshore fish farms , instead of the current system that is toxifying the beds around salt water lochs. Interesting concept but what about the effect on the environment of salt water release into normally fresh water courses? There wouldn’t be , by using onshore , near the sea itself , its piped to and from the hard rocked based Hydro dams , eventually meeting up with the sea , not watercourses , by design. For example use areas say like south and east of Greenock , which had a history of harnessing in a similar manner fresh water for the mills from the hills , or nearby in Largs damming up the old road , again which is already dammed for freshwater to a point , the sites are there , the tech is there , the funding sadly is not. Ironically both those areas I mention have one of the highest constant windspeeds for windfarms , the lowest population density , is forestry land , yet is near the infrastructure for the grid. Like its neighbour , North Ayrshire has heavy bedrock hills that could be used , near Hunterston which powers most of the west of Scotland already , importantly next to the Clyde with the potential in place for tidal too. Jean-Loup, I only brought in hydrogen fuel cells in the context of clean, renewable sources. Obviously, using dirty energy to split water for those cells is not sustainable. And I was talking fusion, not thorium (although I’m open to the idea of thorium plants where they replace toxic fission plants.) And space-based solar arrays? They seem quite elegantly simple to me. Get solar collector outside of atmosphere, collect tasty rays, beam back to Earth. Beautiful. Everyone should stay in bed for a bit longer,very natural way of conserving energy don,t you think? Tokamaks you say? when I was wean 4 decades ago fusion power was 50 years away. It is still 5o years away. What do we do while we wait 150 years for fusion power? This article is a prime exemplar of the best being the enemy of the good. Butanol from waste materials that are going to be produced anyway is good. Since it burns cleaner than petroleum and and current petrol vehicles will not need modifying to burn it, and nor will new fleets be needed costing carbon (like all the new hydrogen cars and the infrastructure). Then we get to the problems with hydrogen, it is very, very hard to store securely as the molecules being so small percolate through most materials. It is also highly flammable, much more so than petroleum liquid, or butanol. Then where is the energy to spit water to make the hydrogen to come from? and how efficient will the cycle from production to powering vehicles be? Or will the losses in storage and transport doom it? Oh dear, here’s another variety of methadone, along with electric cars, fracking and all the other increasingly desperate attempts to stave off the end of the carbon era (aka the industrial revolution) and maintain the myth of endless economic ‘growth’ (aka profit). Oil and Coal and Gas have been wonderful, allowing human beings to live astonishingly beyond their means for 200+ years (with one or two small side effects…). The Greeks and Romans (and wealthy Scottish sugar barons) had slaves as labour. We have used remains of ancient sunshine, millions of years compressed into decades and letting all that energy loose at once back into the world…oops. None of the wonder-fuels will ever be able to replicate the scale or ease of fossil fuels, so we have a choice. Get off the addiction now and use the time and resources that we still have to make a more just world; or burn up all we can then fight each other for the last bone in a world of storms and seashores lapping ever higher filled with boats of migrants. Renewable energy is all around us. Wind, wave, tide, geo thermal, solar being the main natural sources. They have not however been developed to anything like what they could have been. Established commercial and UK military interests have seen to that and there can be no clearer examples than the oil industry along with the nuclear industry. The anything but green oik industry has since the 1890s had no interest in reducing its core business in favour of green alternative energy. Drill oil, burn oil, drill more oil. That is their business and still is despite technologies having moved on since Paraffin Young first refined oil. Ditto the nuclear industry which in truth was initially set up to provide bomb grade plutonium for the weapons industry. With its history of plant outages, cost over runs, and legacy restoration costs never factored in to the cost equations, the nuclear industry is anything but cheap. And when it goes wrong, as it did in Japan, the costs of failure are mind boggling – and not just in terms of putting Japan onto a 3 day week whilst devastating an entire prefecture with radioactive contamination for centuries. And yet, the softer, safer, cleaner more secure forms of energy is all around us – stifled for want of development. Energy security. Nah, that’s the domain of the multi national oil and nuclear corporates. Profit before people,before the planet. In fact we’d even go to war about it.